Nfirea is a famous pharmacist in E-Rantel. He is the grandson of Lizzie and the childhood friend of Enri Emmot whom he holds romantic feelings towards. 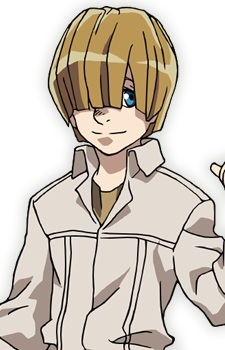 He is a young boy with short blonde hair that half-covered of his face like a bowl cut. He is dressed in ragged work clothes from the potion making workshop. Nfirea is described as a nice, calm and timid person. He also works hard at making potions with his grandmother every day. Nfirea was originally a girl named Fay in the web novel, but his gender and name changed when the series was published into a light novel.